I added the EO to the powder. I made sure I mixed it really well before I stored it. Do you have any ideas for laundry soap? 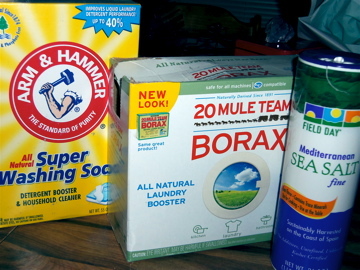 I have heard of several combinations of borax, washing soda, baking soda, vinegar, a bar of soap……But I want to use my liquid castile and glycerine sometime soon. And I’ve heard I can do castile instead of a bar of soap. Plus, I want something that is for sensitive skin. I have hard water as well. Any ideas? I’m so going to use your dish detergent recipe when mine runs out. How about dish liquid? I’ve heard hydrogen peroxide, a bar of soap, baking soda, vinegar,………. Can you tell I’m tired of the run of the mill soaps out there. I started baking bread, and I can’t stop doing things from scratch now. I love it. And your site rocks!!! Joy, Thanks for liking the site. I have moved over to a different site now that combines all aspects of my life. It’s now http://www.sleepeatheal.blogspot.com. I am not updating this one anymore. I have not traveled into liquid soap yet so I don’t have any recipes off hand. 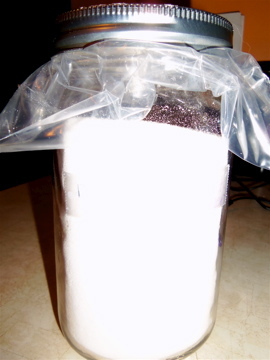 I make laundry detergent with bar soap (I make my own), borax, and washing soda. You want a bar soap that does not have any extra moisturizing in it. If you are buying bar soap you want to use felz naptha or zote. You wouldn’t use this soap on your body as it would be horribly drying. Extra moisturizing in your regular bars of soap can cause a film or build up in your washing machine. Love this recipe! 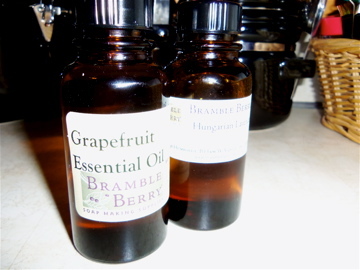 The Lavender and Grapefruit EO’s are wonderful for a dish detergent. It gives it a wonderful scent as well as excellent cleaning properties! It really works well and it’s smells awesome!